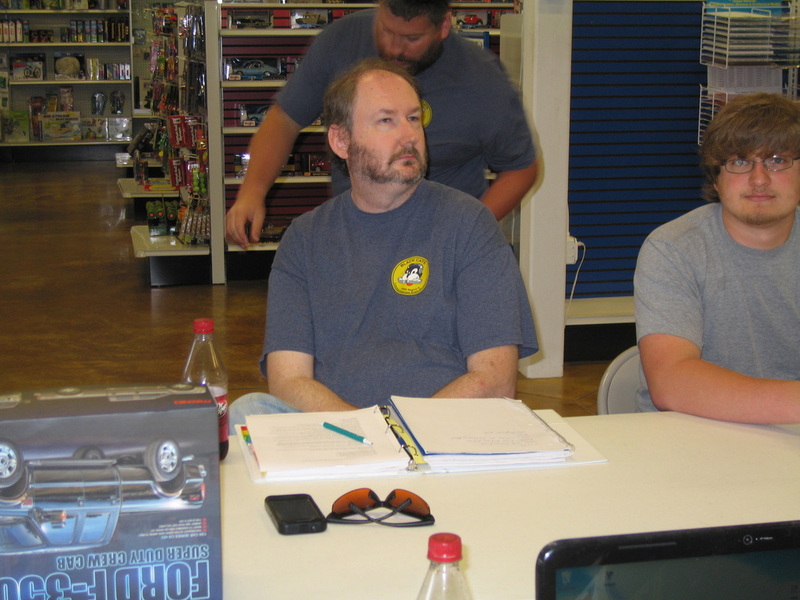 Officer Elections: Elections will be held at the August meeting. 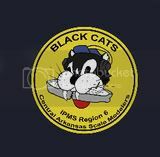 T-Shirts: Members will be able to order the new t-shirt on the website by the end of the week. 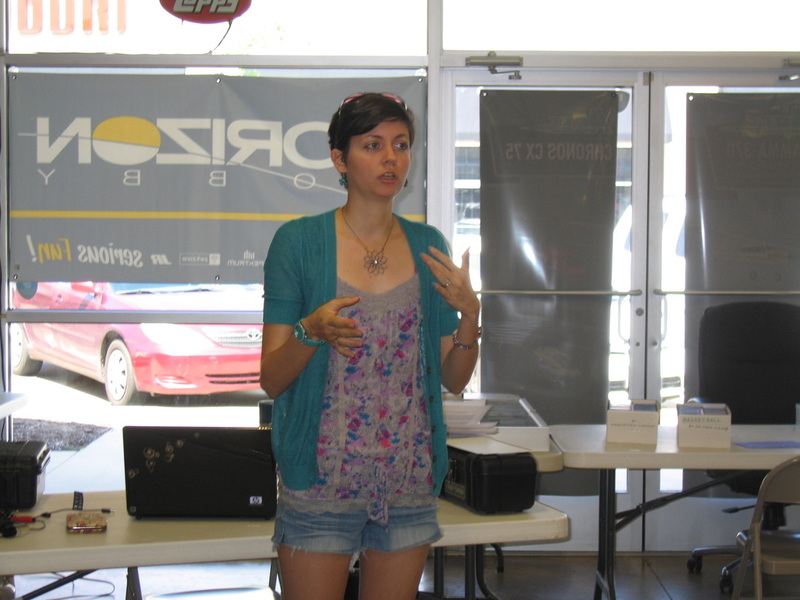 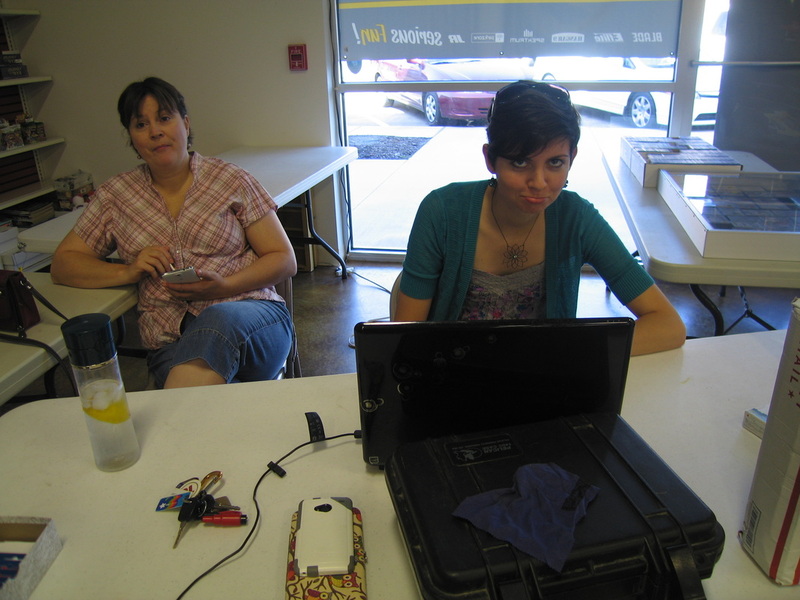 If you don’t have internet access, we will take orders at the next meeting. 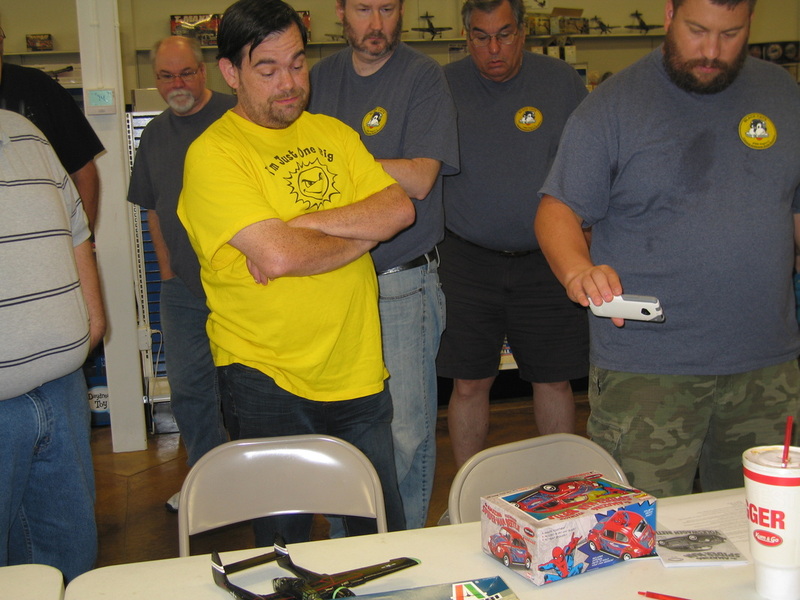 Membership: You can still pay your dues for 2014. So far, we have 40 paid members, which is a record for CASM. 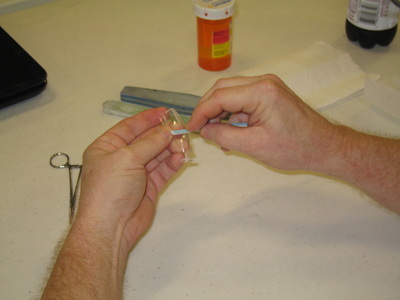 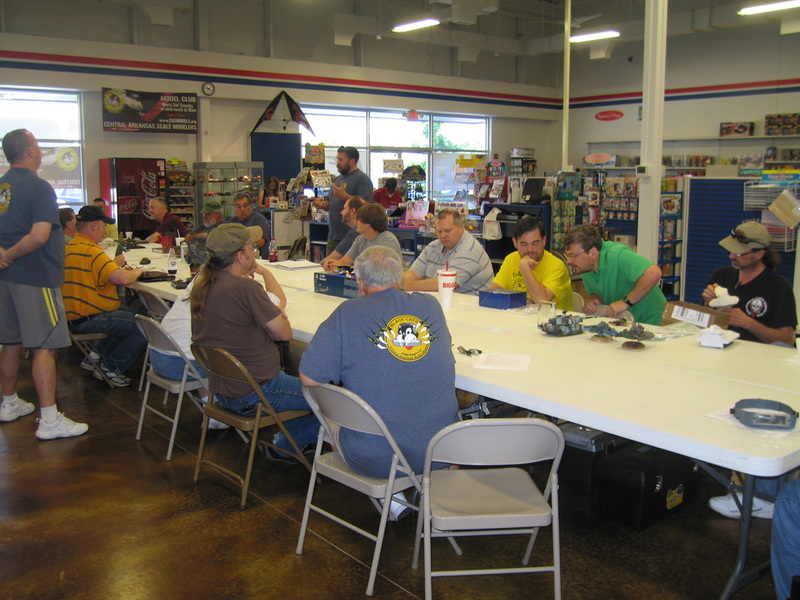 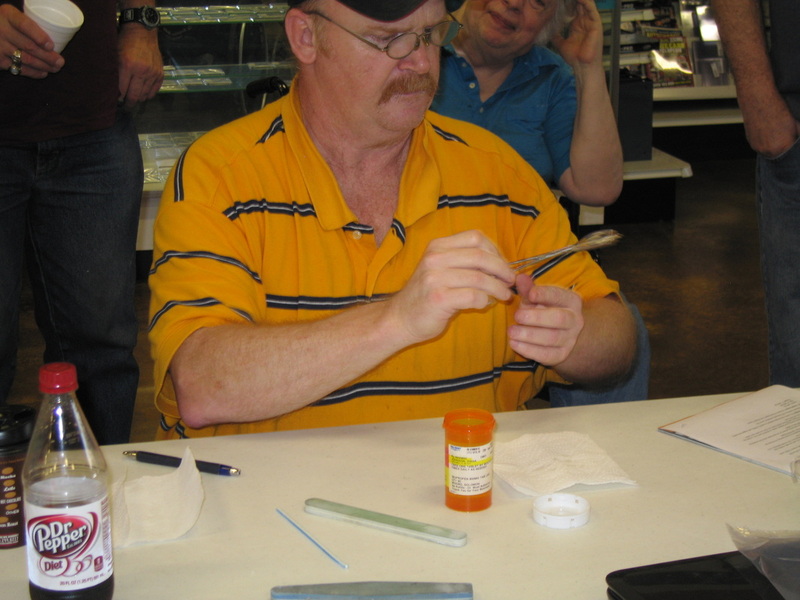 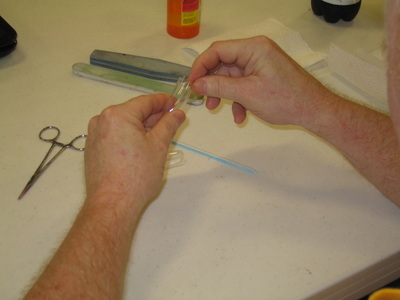 Member of the Year Voting: Voting for CASM Member of the Year took place. 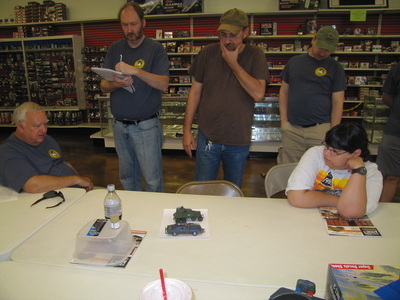 Results will be announced at the Sproo-Doo. 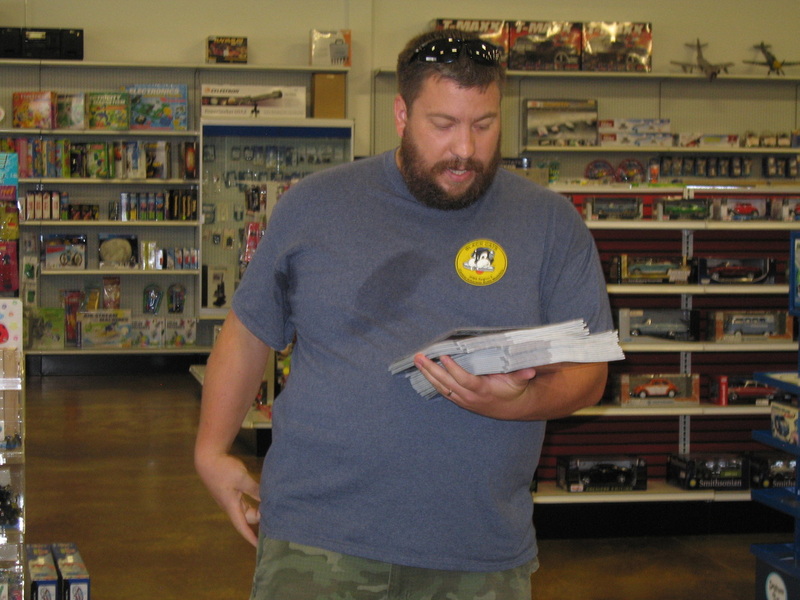 Sam Macheak: We received word that Sam is now 100% cancer free! 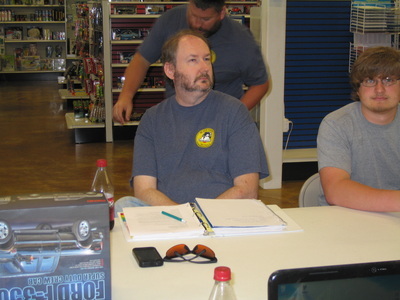 Dave Branson: Dave attended our meeting after recently undergoing heart surgery. He said he was feeling great and was happy to be there! 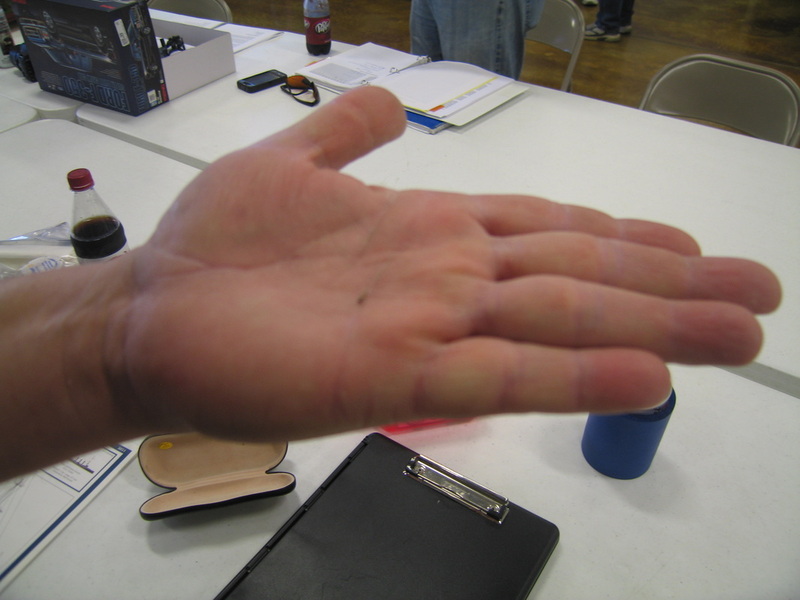 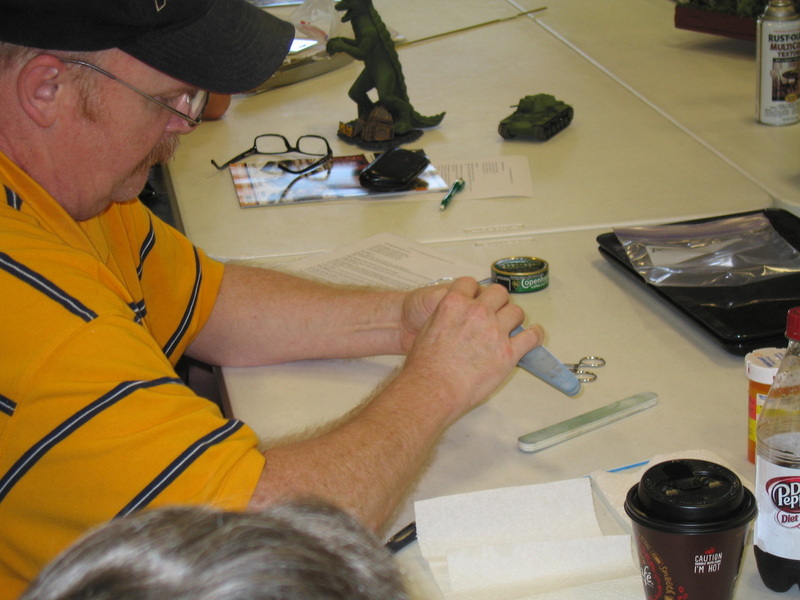 Rusty Nail: The Grex Airbrush Company is flying Rusty to California this week to make a series of tutorial videos on figure painting. Congrats, Rusty! 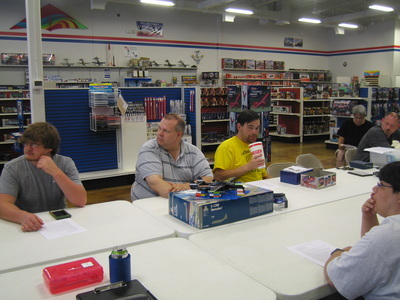 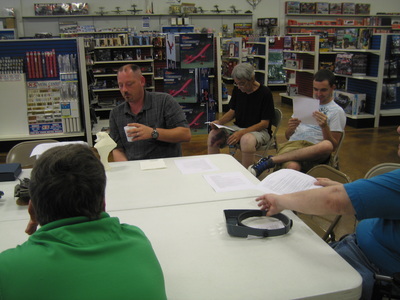 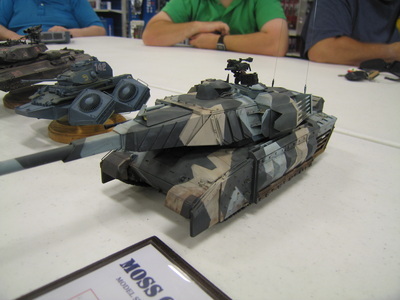 Show Report: Matt Bond gave a report on MOSS Con, held in Branson, MO, in June. 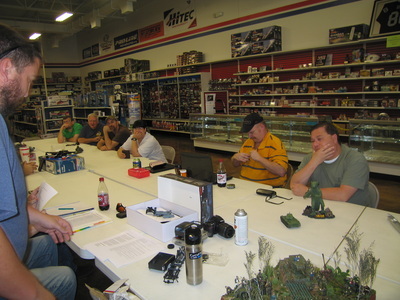 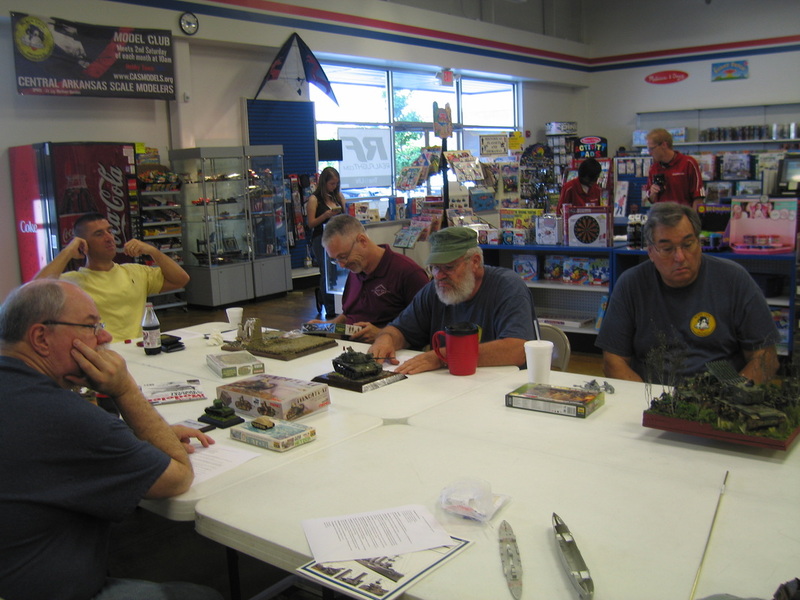 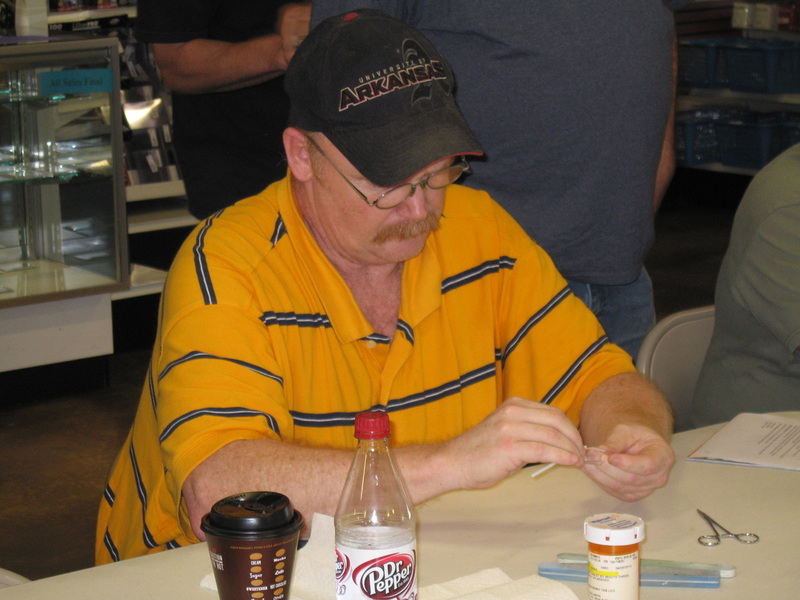 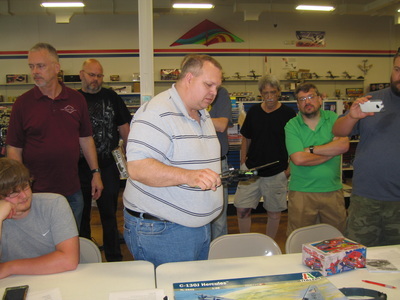 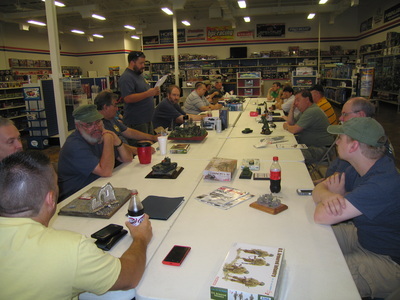 The show was attended by many CASM members and Arkansas modelers including Ken Childres, Ron Leker, Brent Bristow, Lloyd King, Brian Elliott, Roy Elliott, Mike Warren, Jon Williams, Ken Leslie, and Mark Randall. 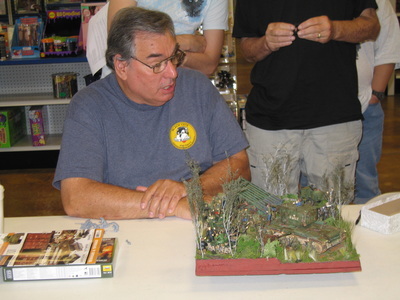 Tom Brown also participated by proxy. 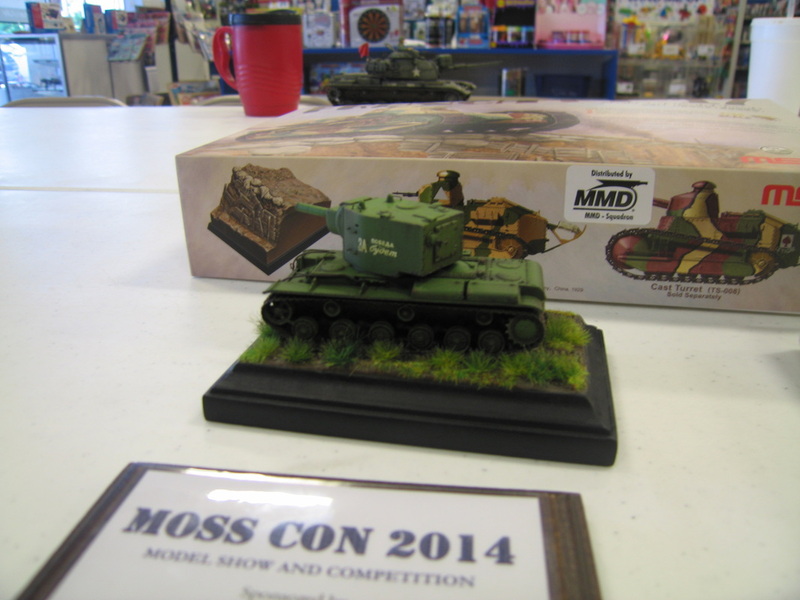 The show was very well ran, and the Arkansas modeling community did very well, winning many awards. 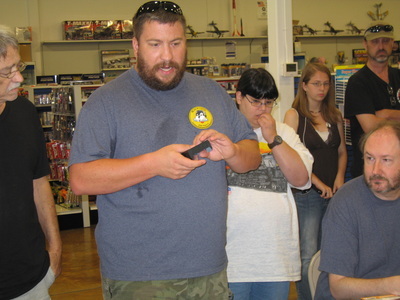 Matt won the show theme award. IPMS Memberships: Please get your updated IPMS member information, including member number and expiration date, to either Ray or Brent ASAP. 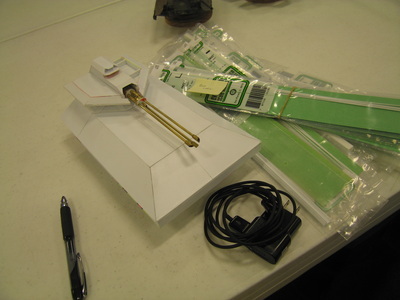 This is needed for chapter charter renewal. Scratching Post: Tom Brown discussed how there has been little activity on the Scratching Post lately, and how many members had previously promised to submit articles but never did. 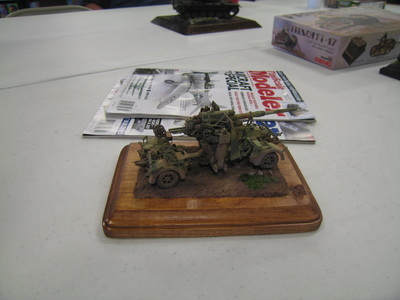 The Scratching Post belongs to the club, and there needs to be involvement from more club members. 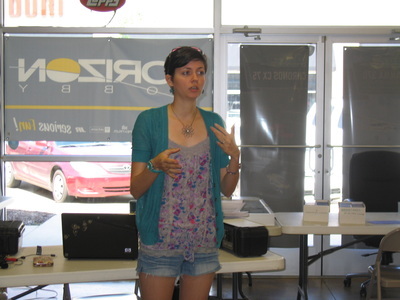 Sproo-Doo: Brianna Childres told us that if any members want to rent a vendors table at the show, it must be reserved by the September meeting. Also, while there are many items that have been donated for the raffle and silent auction, there are very few kits. If you have any kits you would like to donate, make sure they are complete and bring them to Bri or Ken. 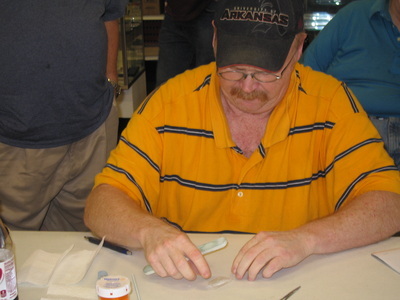 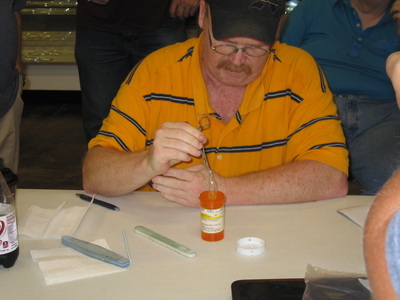 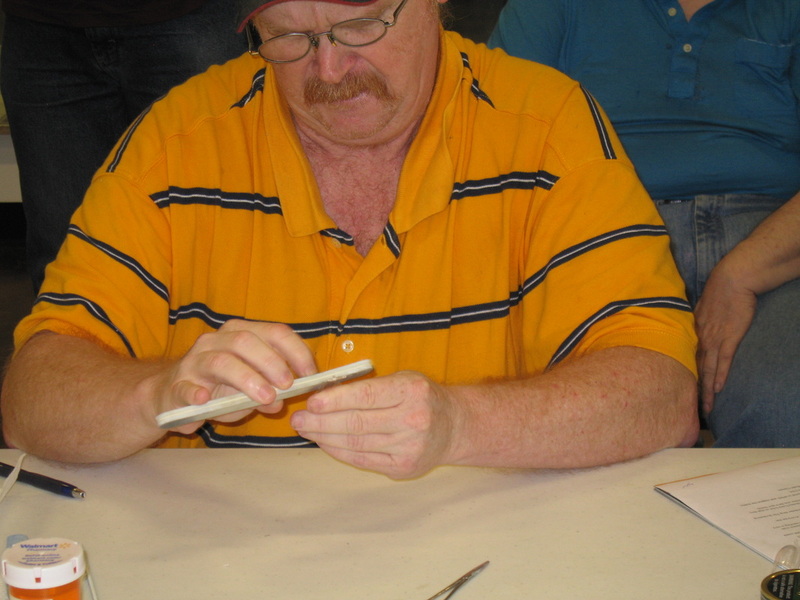 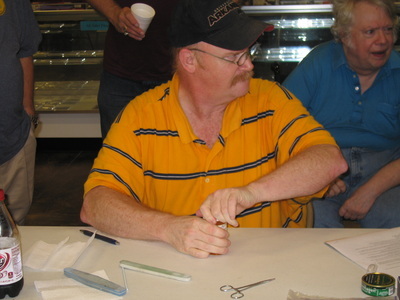 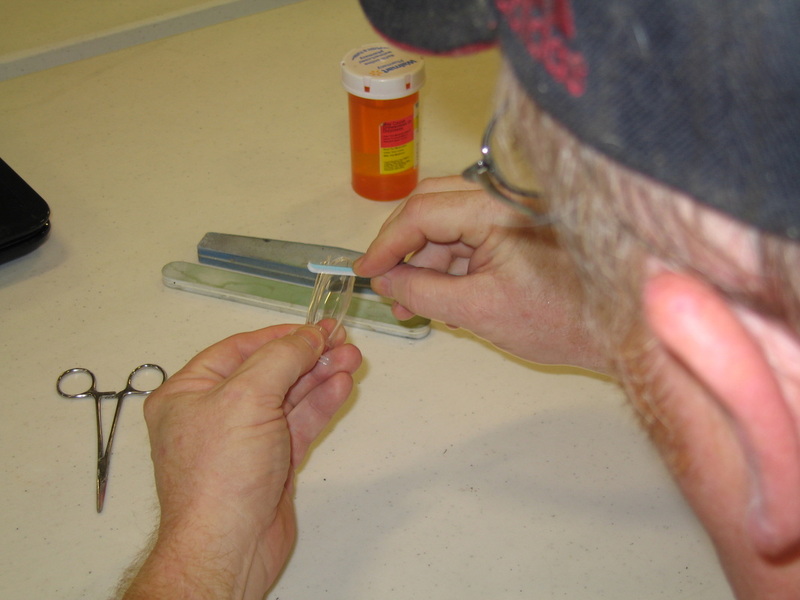 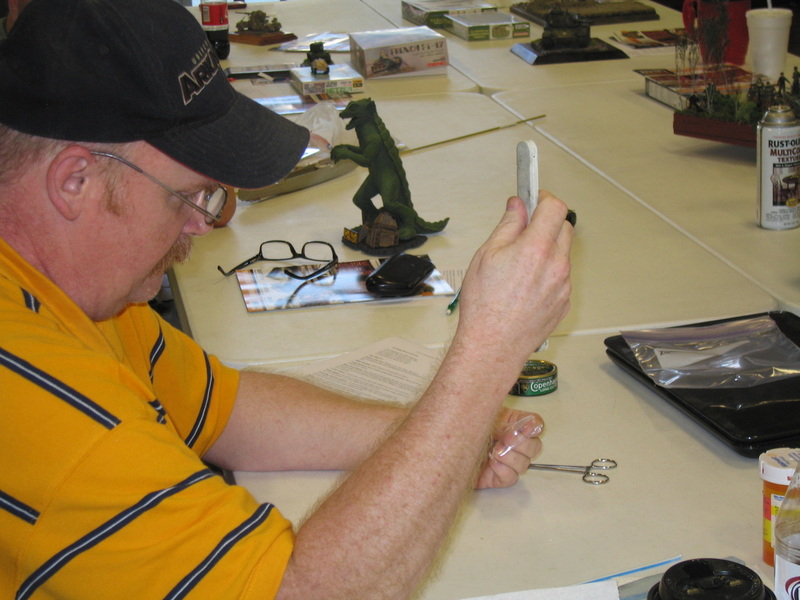 Demo: Lloyd King gave a demo on removing seams from clear parts using sanding sticks and Future floor wax. Ken Childres presented a Meng Ford F-350 WIP. 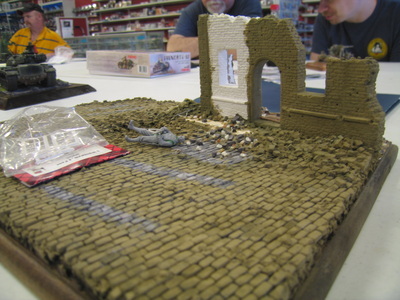 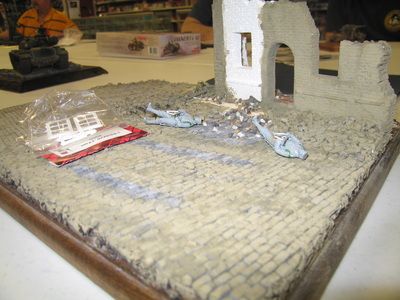 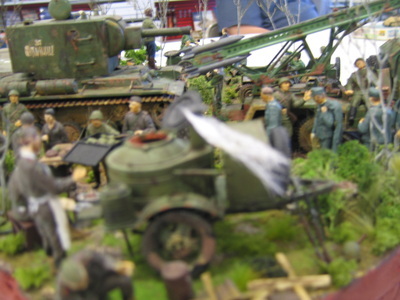 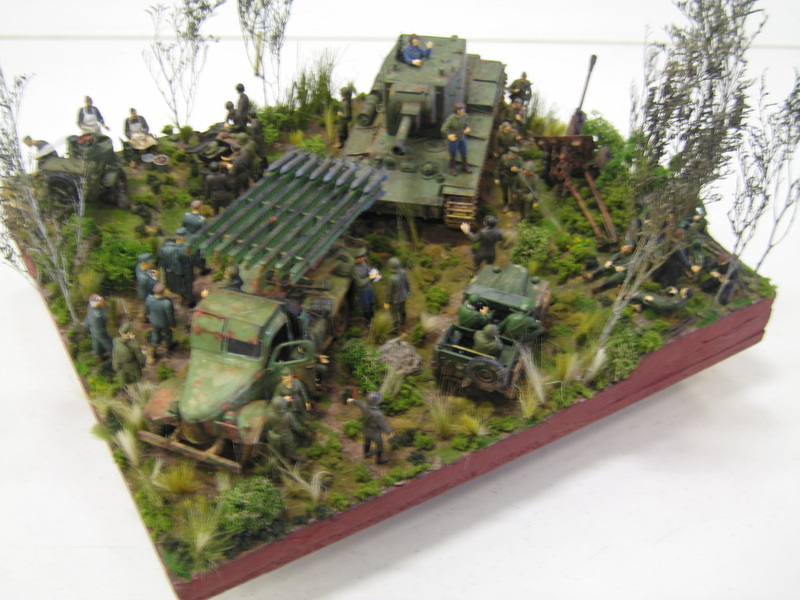 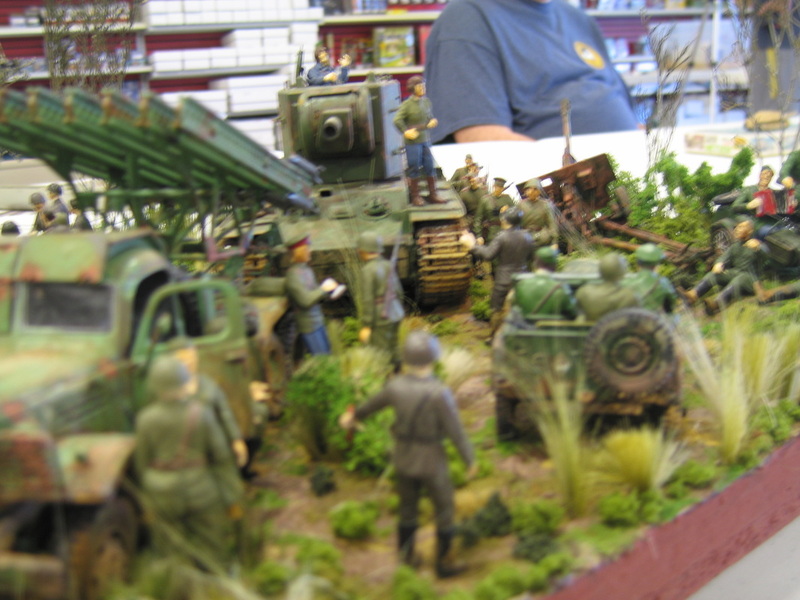 Cliff Bullock presented a Russian World War II diorama. 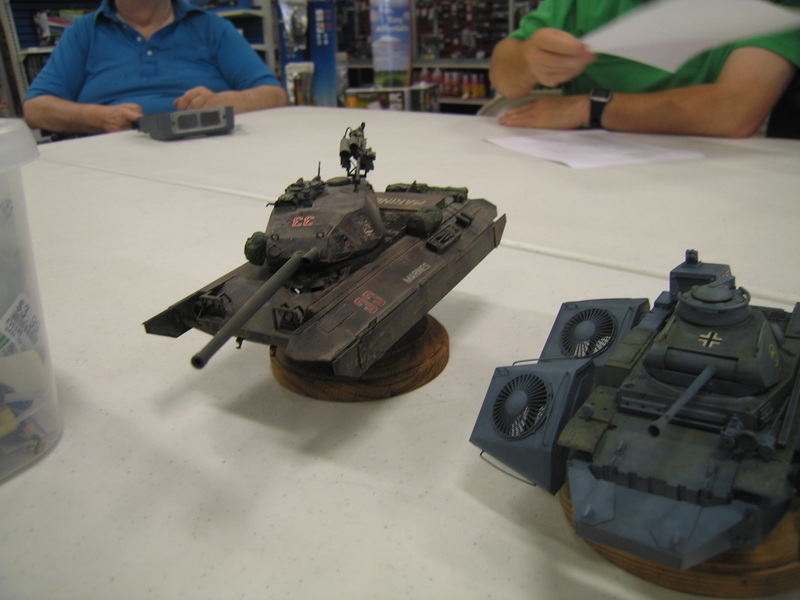 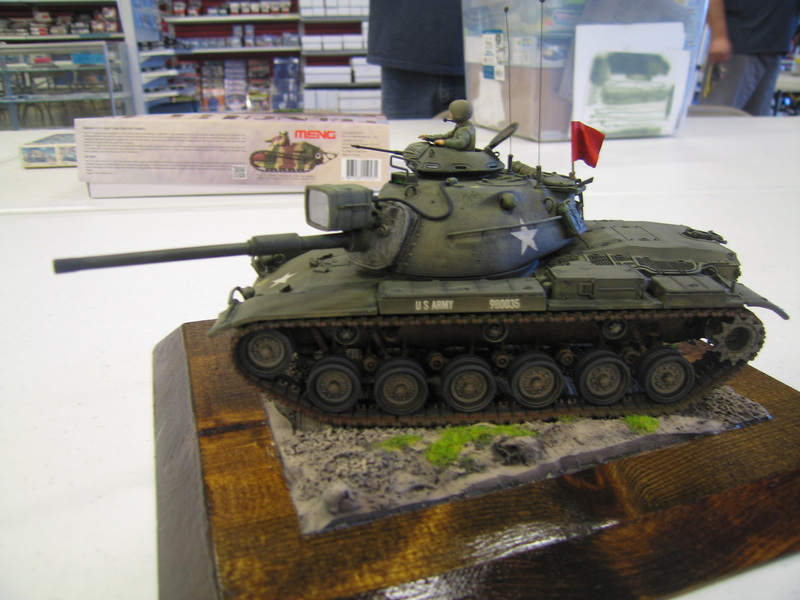 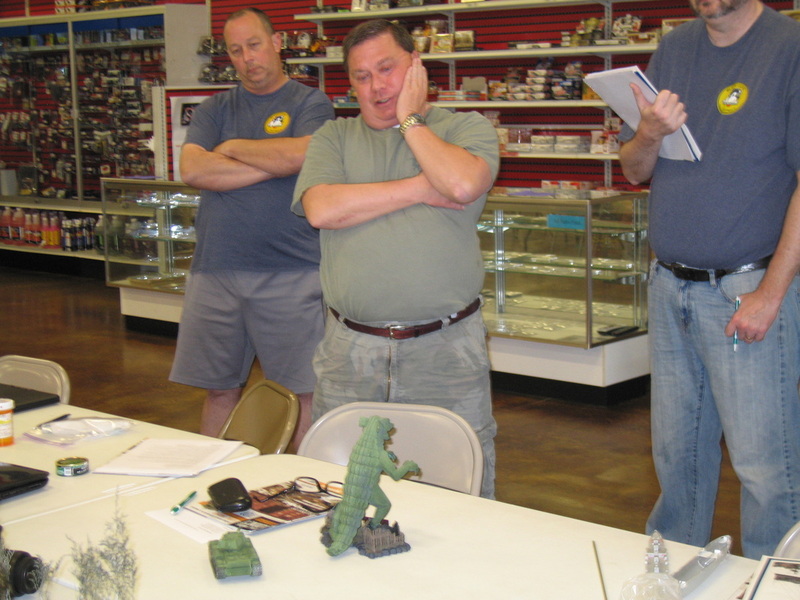 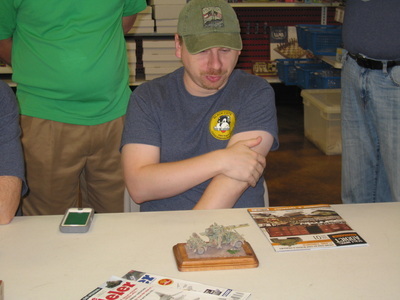 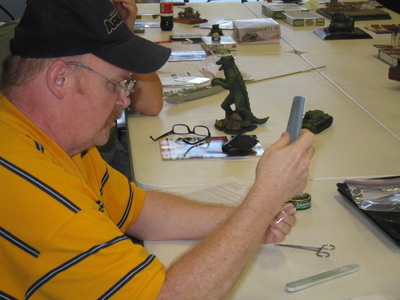 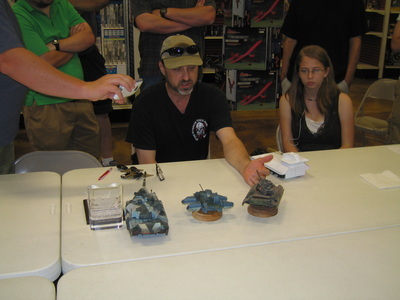 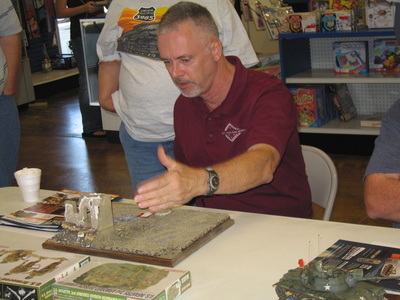 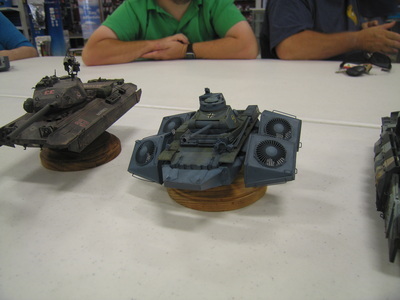 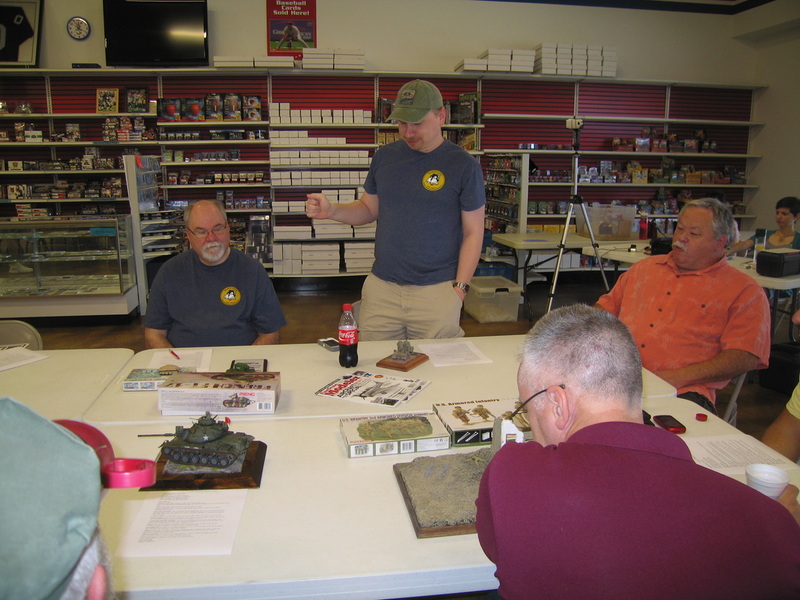 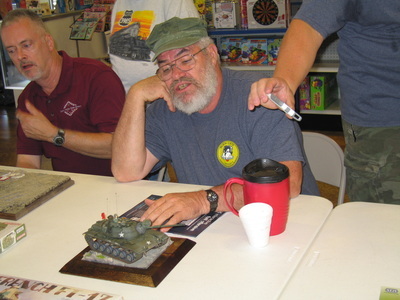 Rick Knapp presented a WIP diorama base for his M4 Sherman. 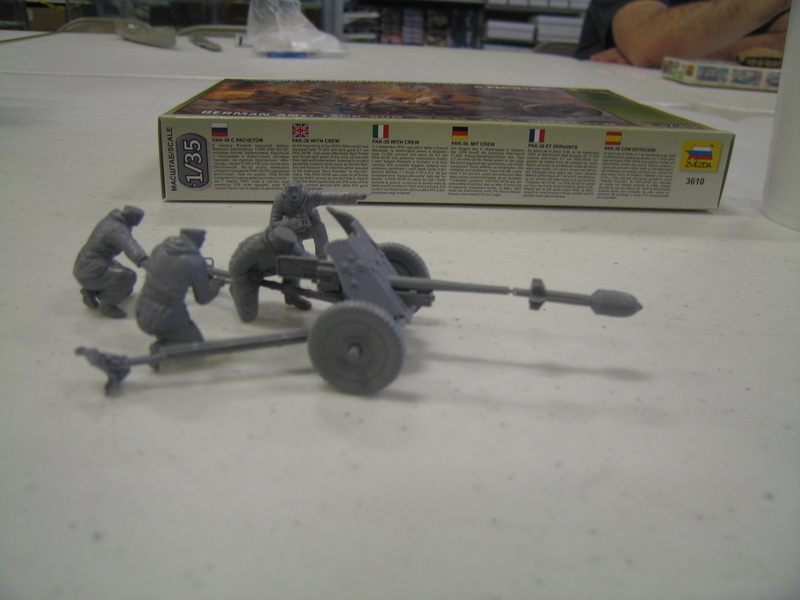 Matt Bond presented an Italeri 1/48 anti-armor gun. Mike Warren presented a Russian KV-2, a WIP German Hetzer Tank Destroyer, and an NIB French FT-17. 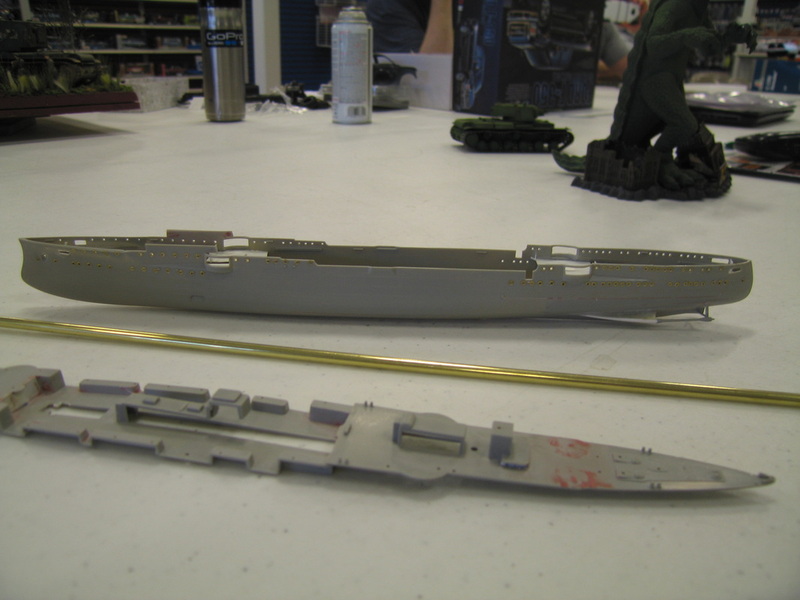 Tom Brown presented a WIP S.M.S. Emden. 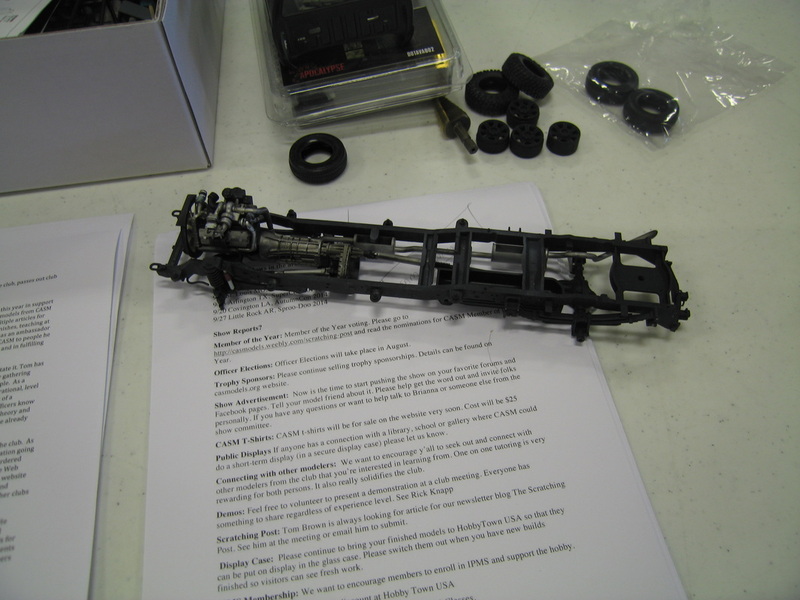 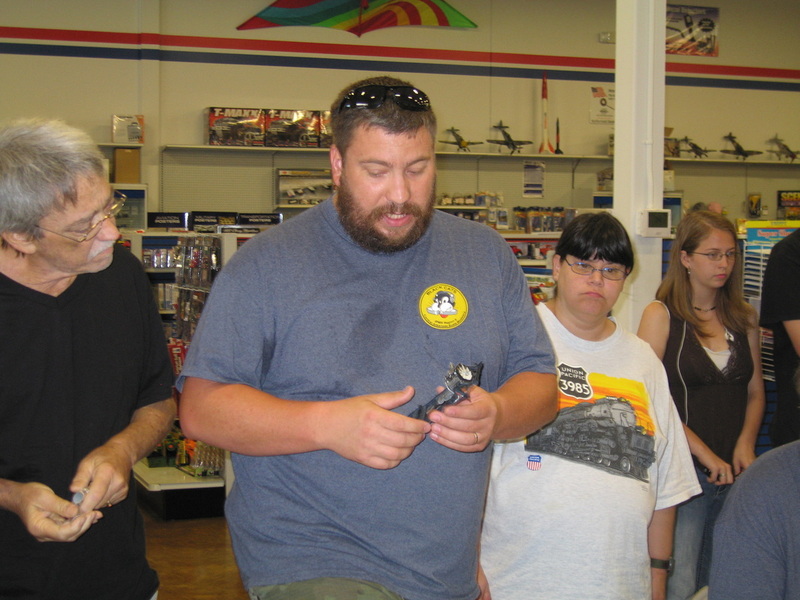 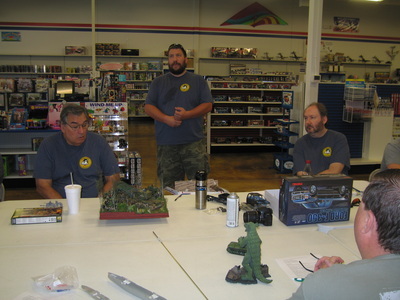 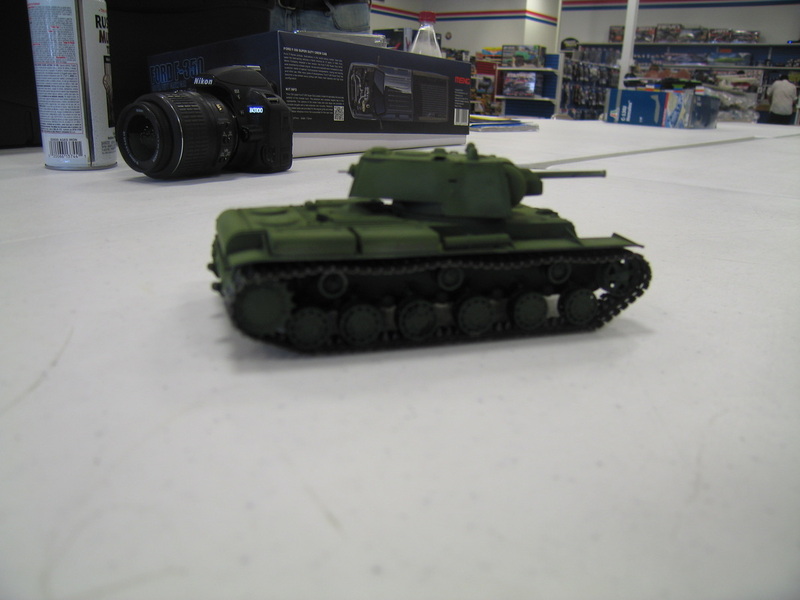 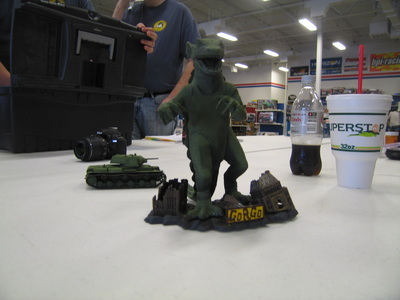 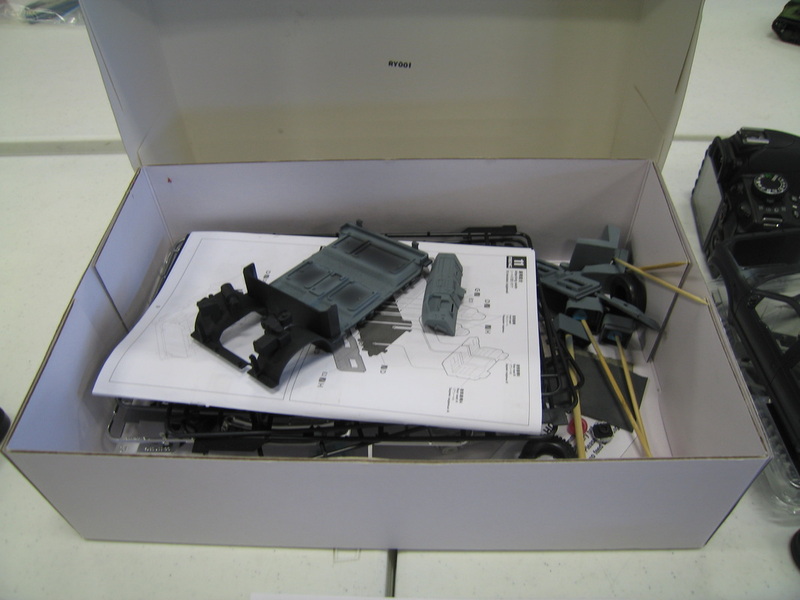 Richard Buzbee presented a Tamiya 1/48 KV-1, and a WIP Gorgo. 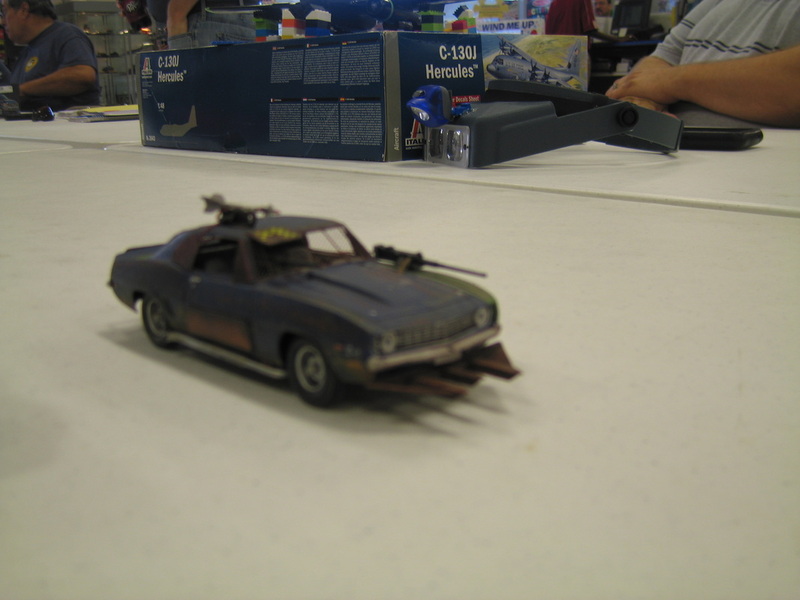 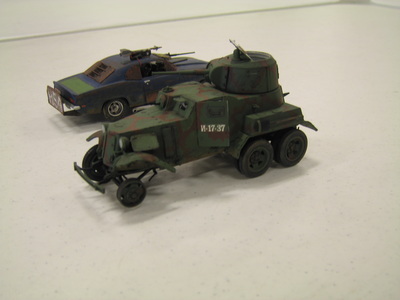 John Montgomery presented a BA-10, and a 1/32 Camaro converted into a post-apocalyptic vehicle. 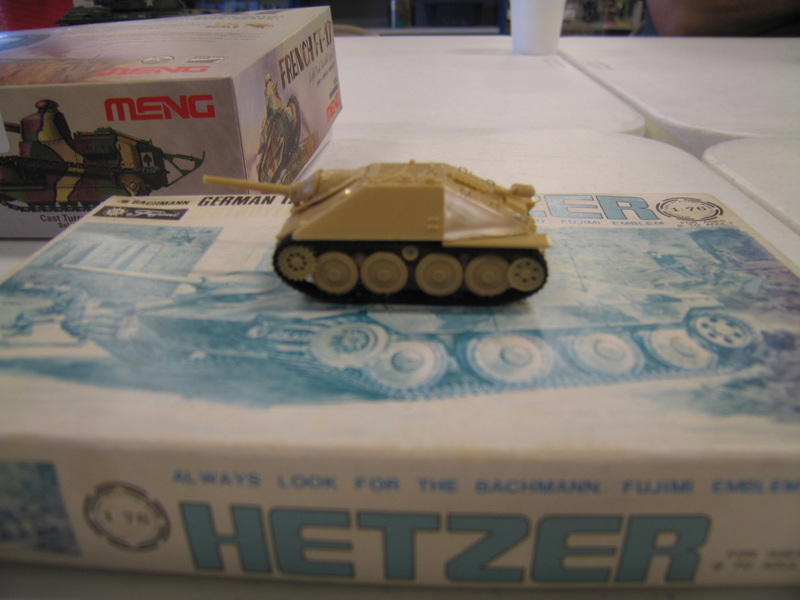 Ron Leker presented a M41 hover tank, a channel jumper, a futuristic Rommel, and a WIP futuristic armor personal carrier. 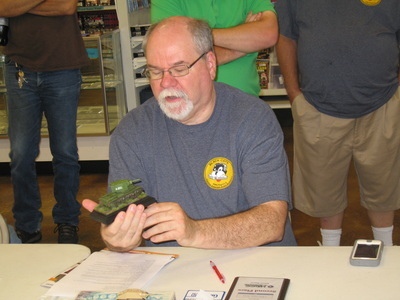 Ken Faussett presented an NIB Spider-man Volkswagen. 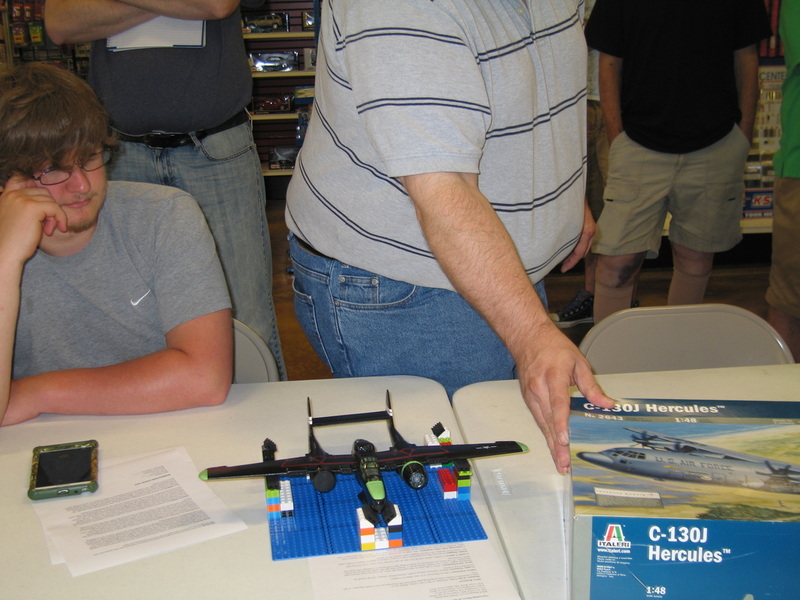 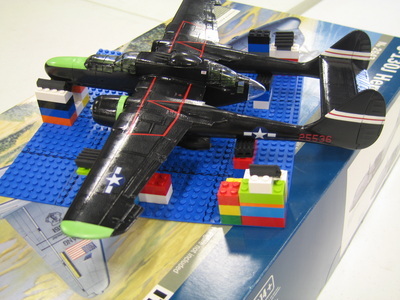 Garrick St. Pierre presented an NIB C-130J Hercules, and a Revell Black Widow. 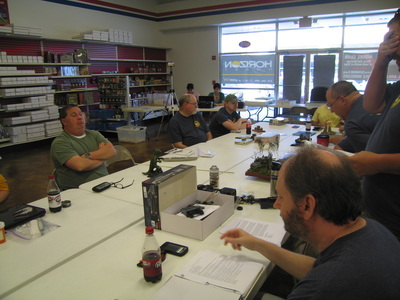 The meeting was adjourned at 11:20.